Most New or Recent graduate Advanced Practice Providers want to negotiate their salary and benefits before accepting a job offer. Here’s how to have that candid conversation about money with a potential employer. I think there are several main reasons why most nurse practitioners and physician assistants may shy away from salary negotiations. Many people just don’t like talking about money. Additionally, many people (including some new graduates) may undervalue their capabilities because they have no experience as an APRN or PA. So, if you want to earn what you’re worth, you need to embrace a change in your mindset. You can also learn the strategies to become a very effective negotiator. Let’s start by appreciating the value you bring to the organization. Studies show that Advanced Practice providers like nurse practitioners and physician assistants help to reduce the incidence of medical complications, shorten patient length of stay, reduce readmission rates, and improve patient satisfaction. All of these factors directly contribute to hospital profitability. In many outpatient clinics and some inpatient roles, Advanced Practice Providers bill for their services and directly produce significant revenue for the organization. So, regardless of whether you work in an inpatient or an outpatient Provider role, you are creating value. Let’s look at ways you can quantify your value, and negotiate for a higher salary throughout the job search process. Does the organization bill for APPs? In other words, is the Provider role revenue-producing?) and how much patient volume? Does the hospital measure productivity in relative value units (RVUs)? How are Provider RVUs calculated? Do Providers bill under their own NPI number? Is the salary offered by the organization supported by the regional market? (In other words, is it adjusted for local cost-of-living?) and how often do they conduct market surveys. The answers to these questions give you insight into what the revenue target is for the position. If the salary is tied to RVUs, you could be eligible to earn a percentage of collections. That’s why a good follow-up question to ask is whether the position is eligible for productivity bonuses and how those are calculated. When the tables turn, and your interviewer asks you what you’d like to make, it’s perfectly reasonable to say, “I’m a new graduate and am not quite sure what the market bears.” Or “I’m new to this city and practice area, what is the market rate in this area.” Followed by the question: “What do you think is an appropriate range for this position.” Throwing out a number during the interview typically sets expectations, and may lead to receiving an offer that is less than what they might be willing to pay. When you do receive an offer, say “Thank you I’d like to do some research and get back to you in a timely manner.” Look for resources from professional organizations in your field (recent surveys from the MGMA and other data), or talk to colleagues and preceptors. Does the offer seem reasonable? If not, identify an appropriate range that you feel is supported by salary data. Salaries have been increasing by approximately 3% every year. When you get an offer, ask for details on annual raises and adjustments. Are they inflation-based, or merit based? You can also ask how the organization has paid out increases over the past several years. Also bear in mind that certain schedules and roles command a higher pay rate, such as evenings, weekends, and call responsibilities (you should always factor in call time into your calculations). You want to make sure that the terms and rate for your role are specified in the contract. Also, ensure that the terms of the agreement are open for renegotiation every year even if you sign a multiyear agreement. That is fair to both the employee and provider. This protects you from losing money if your work situation changes in the future. Also, watch out for long resignation period requests and always have an opt out clause to cancel the agreement without violating your contract terms. Often the employer will tie, signing bonuses, relocation assistance and loan repayment (if guaranteed directly from the facility) to multi-year agreements. This in itself is justifiable as the employer needs to obtain a return on their human capital investment, but it should be forgiven (pro-rata) over a specific timeframe that both parties feel comfortable with. Finally, remember that your compensation is more than just your base salary. Ask to see the benefits package alongside your employment contract. If you’re weighing multiple offers, create a chart with all your benefits and do a side-by-side comparison. And, don’t forget about the intangible benefits of having a job that brings you satisfaction and supports your lifestyle. At this point, relate any specific certifications, related experience and qualifications that make you especially qualified for the role. Examples include relevant RN experience, Acute Care certification, or training on specific equipment like an ECMO machine for example. Your previous relevant medical experience prior to being an APRN or PA should be factored into the compensation calculation by the employer. Negotiating your APP compensation package is an important, but challenging career move. Before you sign on the dotted line, make sure your contract is revised to reflect the conversations you’ve had with your prospective employer. If you have any concerns, it might be a good idea to hire an attorney that is board certified in employment law with healthcare experience to review your contract. Your prospective employer hired a lawyer to draft the contract and you should do the same. It costs money, but when you consider that you’re securing your future earning potential, it is a wise investment. 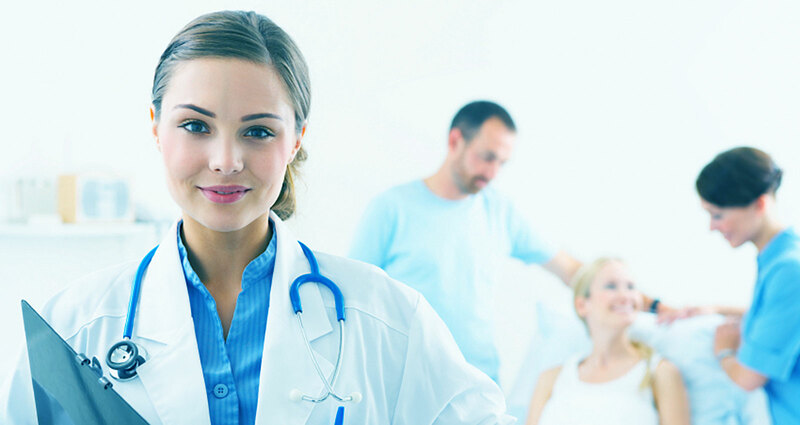 Our firm, Medical Advantage Recruiters is a nationwide search firm that focuses on Advanced Practice Placements. We also know where–and to what degree–hiring managers are willing and able to negotiate. Our experts also advocate directly on your behalf. Medical Advantage Recruiters is your solution to getting a new job.